I have been attempting to grow my hair extremely long like the Brandy Melville girls (#goals), but enough was enough already....long hair is hard work! Thankfully I was able to book an appointment with the amazingly talented Salon Manager and Stylist Ben at Umberto Giannini which is a hidden luxury gem in Manchester's Harvey Nichols store. 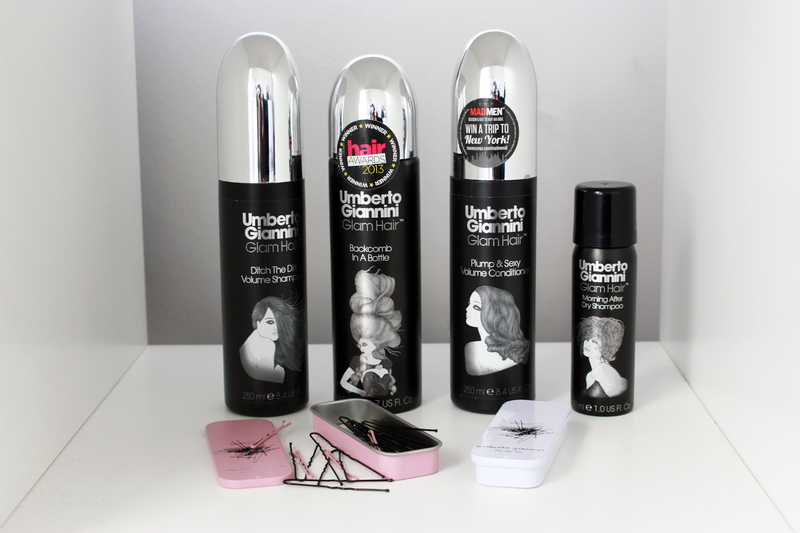 The Umberto Giannini salon is so luxurious, the customer service here is on point! From arriving at reception to grabbing your coat ready to leave again you are given the best treatment. I have sometimes found high end salons to be a little intimidating and I have worried they may not be for girls like me (I'm a student ballin' on a budget..) but I couldn't have been more wrong. The salon offers fantastic discounts for students depending on they stylist you can pamper yourself to a cut and blow dry from £29 and when I say pamper....that is exactly what you get from the team at Umberto. Before they get chopping away you will sit with the stylist and have a hair consultation - making sure they know exactly about your hair condition, how much time you spend on styling, what products you use, what look/style your hoping for and everything is catered towards you. The team are so knowledgeable about latest trends and treatments, its like having your very own hair guru. On this visit I got so much information from Ben about how to best care for my hair and felt really invested in. Ben advised the Kerastase Rituals Hair Treatment - these things look insane and your hairstylist chooses and mixes the correct fusio-dose for your hair condition. He also used the Umberto Giannini Massive Full Body Mousse and Mend My Hair Therapy mixed together which looked like a creme egg! Followed by the best blow-dry and big bouncy curls using the Cloud 9 Curling Wand! The volume and curls looked amazing and were the perfect look for the 18th party I was heading to. If your in Manchester pop your head into Umberto Giannini at the Harvey Nics store, I promise you will not be disappointed. I' glad you got such good service. I think the consultation part is a really good feature of the salon!